Coal is a valuable allotrope of carbon obtained by either digging in an area with an odd time anomaly in which everyone thinks that the year is 1953 or by grinding down diamonds in a mill known as a coal works. After a lull in production towards the end of the 20th Century coal is popular again thanks to the efforts of the Environmentalist movement who recognise its importance as an Organic food. Coal is well known for not being a rock unlike that other "pedia" would have you believe. 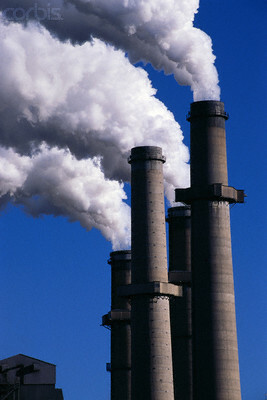 As you can see in this photo, coal is a very clean-burning fuel that does not emit any pollution whatsoever. Diamonds are often found in nature contaminated by and/or intermixed with hearts, clubs, spades, and very rarely jokers, which need to be filtered out by powerful centrifuges. Once separated, the raw diamonds are loaded into giant industrial diamond crushing machines and crushed into a fine glittery powder. The diamond dust is then melted down and left for FIVE BILLION years to solidify into irregular black lumps. The only places where coal occurs naturally are Lancashire and the Belgian Congo. It is rumoured that the early Lancastrians, unaware af the value of coal, once used to use it as a decorating material to blacken the exteriors of their terraced homes. Unlike filthy petroleum, coal is completely safe and environmentally friendly and totally nonpolluting. Its most widespread use is as primary propulsion for the Space Shuttle. A lesser known fuel is Coke, a smokeless, heatless form of coal which gives off a cold, bluish flame. Coke is useless as a fuel but the Lancastrians now use it to blacken their houses. Coal is a super power. Just ask Thomas the Tank Engine. In 1983, Superman was arrested for secretly eating valuable lumps of coal and using his superdigestive tract to convert it into cylindrically-shaped diamond pellets, which he later sold as novelty items. After claiming in court  that he needed to eat some form of raw carbon to live, Superman was found guilty and given a life sentence of community service to the planet Earth. Ever since, all manufactured coal has been required by law to include trace quantities of kryptonite in order to make it less palatable. Kris Kringle, otherwise known as Santa Claus, has been illegally giving away coal for centuries. Known as K2 on the streets, he and his "Reindeer" travel across the world selling coal on December 25, Christmas. K2 and his crew watch millions of people, predominately Christians, all year long to see if they are being naughty or nice (The device they use is called the All Seeing Eye). Once they have made a list, and have checked it twice, they go and raid people's houses in a particular fashion: K2 enters the building, usually through the chimney, while his Reindeer stay on the roof of the building and stomp on it to wake the people inside up. Then K2 pulls a fighting area out of his hat and forces the family of the home to fight to the death for a lump of coal (a lump is about 5.23 grams). K2 is currently on America's most wanted criminal list. He is being prosecuted for illegal trade of coal, manslaughter, and fashion injustice. It has been reported that in the United Kingdom many pensioners, mainly female ones, are illegally collecting and storing coal. a certain Mrs. Smegma was found to have over forty lumps of coal hidden under her bed. Police believe that this is some sort of new craze being spread at their Derby and Joan clubs. Coal is featured in several scenes in the 1978 horror film Attack of the Killer Tomatoes. A long time ago (1846-1983) in a galexy far, far away (ok I just made up that bit), the old way of coal mining was that men stuck tubes up their asses and they sucked coal out. Most people would think it wouldn't work, but it did. It was 1 of the most richest sources of coal in that time. But then 1 day the jerks that stick the tubes up their asses dicided that it was uncomfortable and quit. That was the end of that form of coal mining. Parts of this page were originally sporked from A. Einstein: The Energy Equivalence of the State of Massachusetts and State of Massachusetts v Superman.